When Notre Dame political science major Jee Seun Choi wanted to understand Taiwanese national identity, she didn’t just go to the Hesburgh library on campus. Instead, she applied for a Summer Language Abroad (SLA) grant so she could absorb the language and culture firsthand. The SLA program at the University’s Center for the Study of Languages and Cultures provides awards of up to $5,500 to enable students to spend a summer abroad. Students selected for one of the competitive grants complete a challenging curriculum, participate service learning activities, and go through proficiency testing before and after their time abroad. During her trip in 2010, Choi combined Chinese language studies at Fu Jen Catholic University in Taipei with research for a project on Taiwanese national identity. Her summer experience laid the groundwork for a related senior thesis about nationalism in Korea. Choi, a native of Korea, had taken Chinese language courses in high school and college but says her speaking ability improved dramatically during her time in Taiwan. 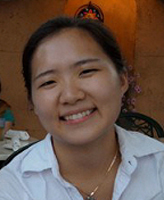 To fulfill the service component of her SLA grant, Choi volunteered to teach English at a local middle school. All her experiences studying, teaching, and living in Taiwan, she says, were extremely rewarding. Originally published by Chris Milazzo at al.nd.edu on June 22, 2011.